With Apple having launched OS X Mountain Lion to the public today, reviews of the company's latest Mac operating system have begun pouring in. Many of the reviews are quite extensive, but we've selected a few choice excerpts to highlight general reaction to the release. The Mac is a platform in transition. In Lion, OS X began shedding the well-worn trappings of traditional desktop computing at an accelerated rate. This trend continues in Mountain Lion. Where Lion stumbled, Mountain Lion regroups and tries again—while still forging bravely ahead in other areas. As the second major refinement-focused release, it's easy to view OS X 10.8 as "what 10.7 should have been." The flip side of this argument is that the real-world mileage we’ve all put on Lion has helped Apple make the right kinds of adjustments in Mountain Lion. If we'd had to wait for two years after 10.6 for the next major release of OS X, chances are good that the worst of the missteps in Lion would just be landing on our doorsteps today. I'll take 10.8, thanks. All told, I found Mountain Lion to be a stable, solid release. Even prerelease builds were far more stable than I’ve come to expect from OS X betas, leading me to wonder if Apple’s new annual schedule is leading to more careful incremental updates (with fewer bugs) rather than great leaps (with more, nastier bugs). Ultimately, this is pretty easy: you should spend the $20 and upgrade to Mountain Lion, especially if you have a newer Mac. You’ll gain a handful of must-have features, and everything will get faster and smoother. I haven’t really missed Snow Leopard at all since upgrading, which is remarkable considering how much I disliked Lion. That said, it seems time for Apple to make a bold new pronouncement on the desktop front. The company appears to have most of its resources invested in the mobile side -- and there's no question as to why: the iPhone and iPad have reinvigorated the company, making it a computing player on a scale that no one (save, perhaps, for Jobs himself) could have predicted a decade ago. Still, it might be hard for OS X users not to feel neglected -- many of the latest new features feel a bit like iOS hand-me-downs. When and if Apple rolls out a new operating system this time next year, hopefully we'll be seeing a very different side of Mac OS. There will be tens of thousands of words published on Wednesday when Mountain Lion hits the Mac App Store, but let’s face it, what you really want to know is whether Mountain Lion is worth the upgrade. Let’s get that out of the way now — yes, it is definitely worth it. Mountain Lion costs $19.99 and comes with more than 200 new features — that’s a bargain at twice the price. In a time when Microsoft is just about to upend their entire OS with their biggest change (and bet) yet in Windows 8, Apple has taken a much more refined approach. Perhaps they take some criticism for this, or perhaps they’re just being savvy. OS X remains a great OS, and sprinkled with some of the best elements of iOS, it still feels pretty fresh. Not bad for an eleven year old big cat. Gizmodo has been anti-Apple ever since the company sued them and banned them from media events (after Gizmodo refused to return a stolen iPhone 4 prototype). Apple could create a fountain of youth and Gizmodo would complain that it only adds 10 years to your life instead of 20. No interest in reading reviews from a bunch of know-it-all hacks that think Snow Leopard is the great thing since Atari and thought that Lion was, in a word, flawed. I despise anyone who believes Lion is in anyway meaningful way, "flawed"
Lion is nearly OS perfection, and Mountain Lion is the sequel. It's not "incremental" in anyway, it nearly doubles the feature set of Lion while improving every addition that came with Lion. Out of ideas? Get a life people. I mean the Gizmodo people are right. Apple is out of ideas. Take a look at any real fundamental differences between Leopard and Mountain Lion. The only difference is black/white UI, speed improvements, and an attempt to synergize Mac OSX and iOS. 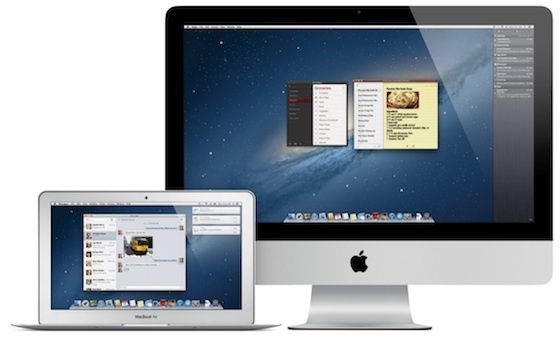 With mountian lion, they have added all the possible iOS things in Mac OSX. Besides more security and speed improvements, they are out of ideas. Furthermore, the difference in iOS 5 to iOS 6 further show this. They have no ideas that they are forced to make the UI (especially in phone) look bad. Also, besides Passbook, there is nothing groundbreaking. Same with Microsoft as well. There was nothing they could do to improve Windows 7 so they had to start from scratch. I personally like Windows 7 type of productivity better. But if they stuck that route, like Apple they would have no ideas. No point of fixing something that aint broke. The fact is it just seems there is a technological road block. Gizmodo is a pathetic joke, and is so your attempt to look like you understand and agree with their fake sentiment. "Uh uh, skeumorphism this and skeumorphic that." They finally came up with a fancy word to throw back at Apple. I didn't realize so many people hated Lion. Why do people hate Lion? I've never had an issue with it. Looks like Im still gonna stay with my ancient 10.6 install. Read a real review and not something from a source with an axe to grind with Apple. The Ars review by John Siracusa is, as always, very comprehensive and deep. He's fair (he wasn't totally crazy about Lion) and very detailed. Lion was extremely flawed. Snow Leopard was Vista 1 and Lion was Vista 2. Mountain Lion is what it should have been in the first place.